Small businesses trying to save money can find it difficult when building their online presence. Getting a phone number, buying image stock and providing videos can be time consuming and expensive. However, you can combat these costs to create a great looking website without gutting your marketing budget. If your business appeals to more than you local community, you should get a toll free number so your state and international customers can easily reach you. A 1-800 number from Halloo offers even more benefits to your company. Big Company Appearance: Even if you are a company of one, a toll free number creates an appearance of a big, bustling business. Capture Caller-IDs: With Halloo’s interface, you can track all callers to your toll free number even for unlisted and blocked numbers. Customer Service: 1-800 numbers are often used as Customer Service and will emphasize a feeling of trust with your customers. You can also get a local number for your company and a toll free number for customer service or sales. Many combinations of local and toll free phone numbers can be made to suit your company. 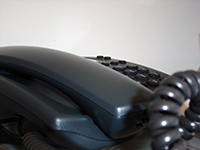 Don’t hesitate to give us a call to discuss your phone number needs. This entry was posted in Toll Free Numbers and tagged 1-800 number-, 800 number, toll free, toll free number by Kimm Antell. Bookmark the permalink. An 1800,800,888 Phone Number allows the business to create extensions that can be associated with the marketing campaigns like billboard in Times Square, a print ad or a website ad to increase their call volume, sales, and ROI.